Modern geographic information systems technology has transformed spatial data handling capabilities and made it necessary for governments to rethink their roles with respect to the supply and availability of geographic information. 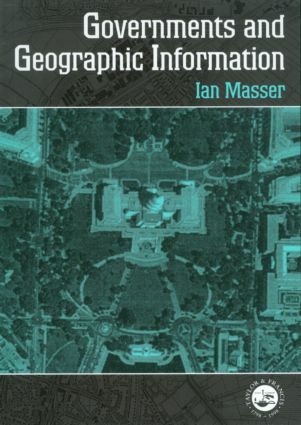 ; The nature of the relationship between governments and geographic information is explored in this book from a number of different conceptual positions with reference to the experiences of Britain, the Netherlands, Austria and the United States and particularly with respect to the development of national geographic information strategies. ; The book examines the role that can be played both directly through a variety of policy initiatives and also indirectly because of the extent to which they create the broader institutional context within which these are developed and implemented. The discussion is divided into three main parts. The first of these considers what is Special About Geographic Information And Evaluates The Notion Of geographic information from four different standpoints - as a resource, a commodity, an asset and an infrastructure. ; The second part presents the findings from four case studies of national geographic information strategies, while the final section evaluates these experiences with a view to identifying what general lessons can be learnt from them. 1. The Emergence of National Geographic Information Strategies 2. What is Geographic Information and Why is it so Important? 3. Britain: The Creation of a National Digital Topographic Database 4. The Netherlands: The Emergence of a National Geographic Information Strategy 5. Australia: The Commonwealth Dimension of State Geographic Information Strategies 6. The United States: The National Spatial Data Infrastructure in Perspective 7. What Lessons Can be Learned From These Experiences?